Clay C defines quality tech trance with this slice of audio excellence. The brooding intro is dark and techy with its cool stabs and moody bottom end. The breakdown explodes into cool yet understated melodies before it drops back into the filth to bring us all home. 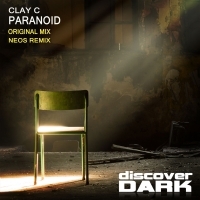 Neos does a greatl interpretation keeping the main riff but adding heavy duty Psy influenced acid. Just how we like it!! 'Paranoid' is available now from Beatport and iTunes.